November 7, 2016 --- Intertec has launched a family of high-performance water coolers, specially designed to work in combination with passive cooling systems. 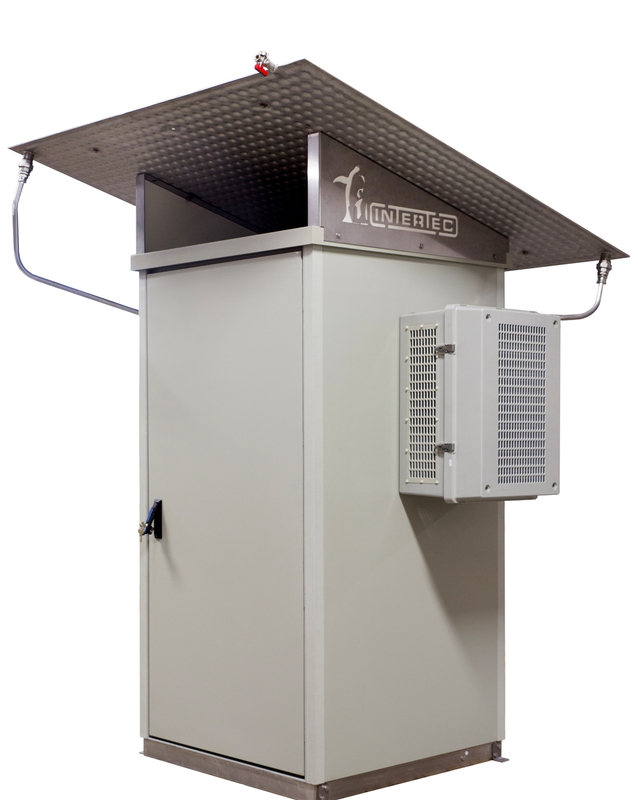 The combination of active and passive cooling technologies provides process control and instrumentation engineers with the means to configure field protection cabinets and shelters with extremely reliable cooling. The combination is ideally suited to protecting remote and mission-critical control and instrumentation equipment. The two cooling technologies can work together to handle extreme climatic conditions, or maintain continued operation in the event of one system failing. Should electrical power fail completely, the passive cooling system continues to operate indefinitely - maintaining low shelter temperatures until maintenance work can be performed. The new family of water coolers - dubbed Hybricool - are housed in tough GRP enclosures, which are suitable for use in the harshest of environmental conditions. 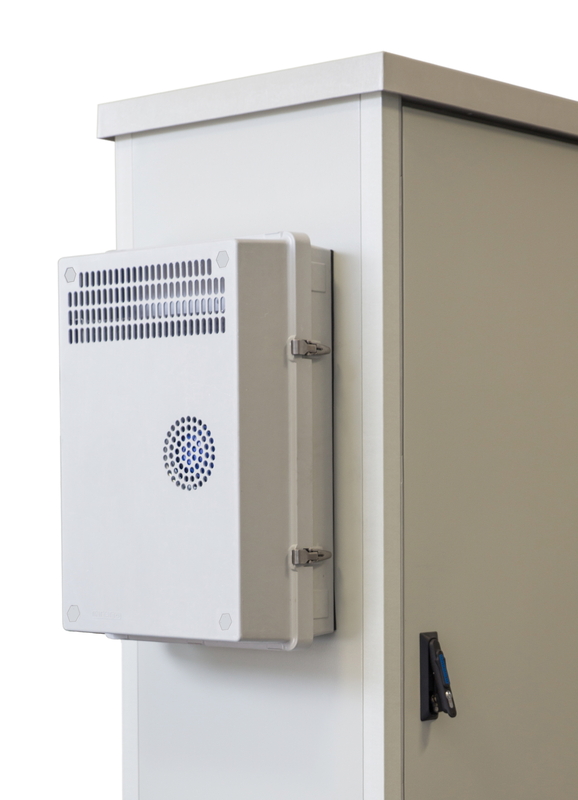 The main target application for the new water cooler family is enhancing the performance and reliability of shelters and cabinets fitted with passive cooling - a technology that operates by natural convection and requires no electrical power. Intertec's passive cooling systems typically employ water as a medium to store the coolness of the night and use it to moderate temperatures throughout the day. This form of cooling is widely used for 'off grid' applications where electrical power is unavailable and/or unreliable, and in remote locations, such as on SCADA systems for pipelines and oil and gas wellheads. A passive cooling system can typically limit the maximum internal temperature of cabinets and shelters to around 10 degrees Centigrade above minimum night-time temperatures - making it ideal for applications in arid and desert climates. The addition of an Intertec Hybricool water cooler reduces the dependence on low night-time temperatures, opening up applications in a much broader range of climates and geographical locations. Such hybrid or 'semi-passive' cooling systems - combining active and passive cooling technologies - can easily be configured to maintain internal shelter temperatures at 20 degrees C or less. 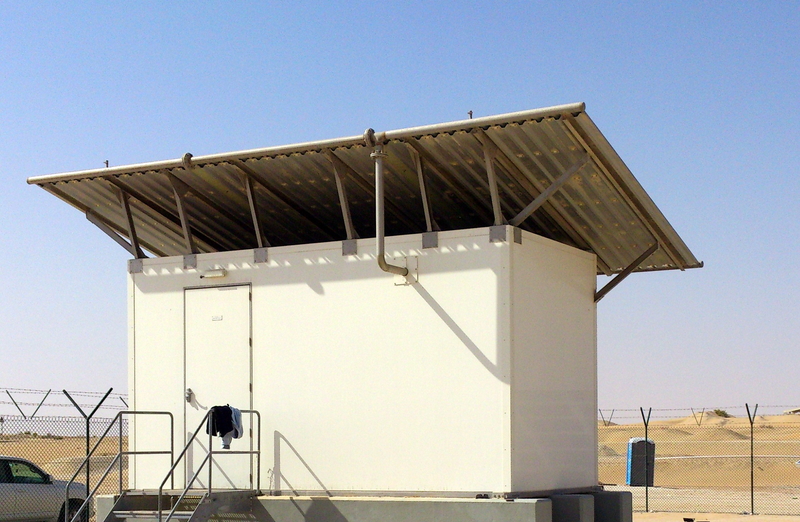 Hybricool water coolers can be added to passively-cooled cabinets and shelters to provide ultra-reliable cooling for remote field control and instrumentation equipment.